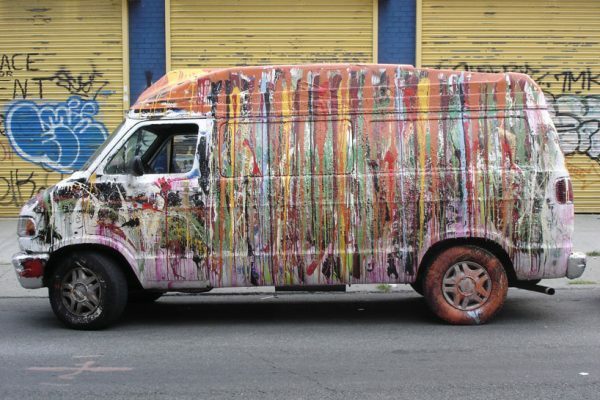 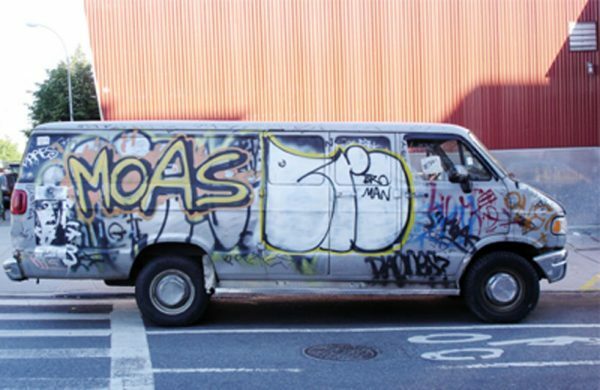 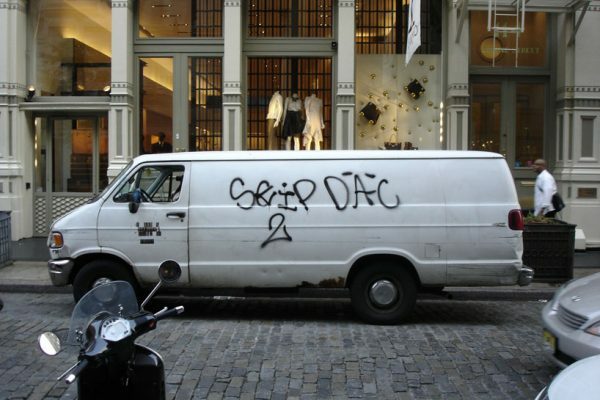 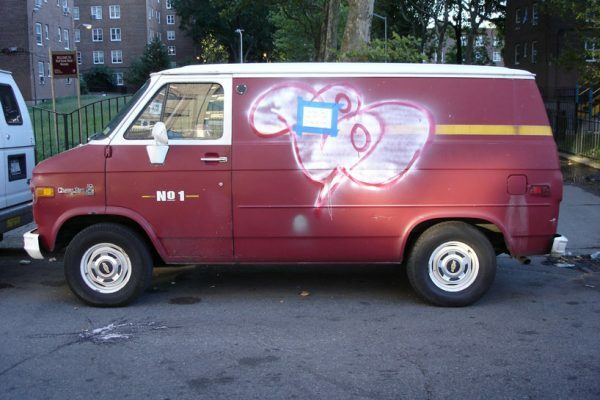 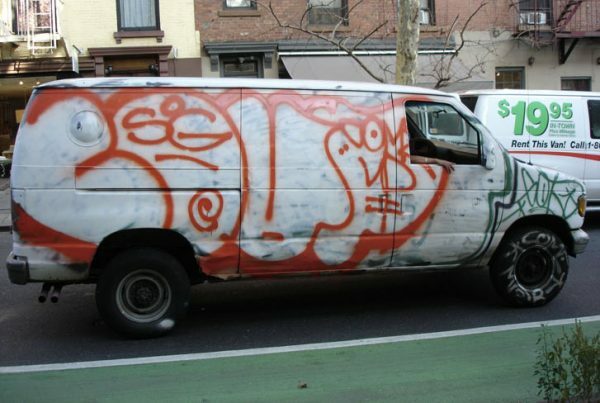 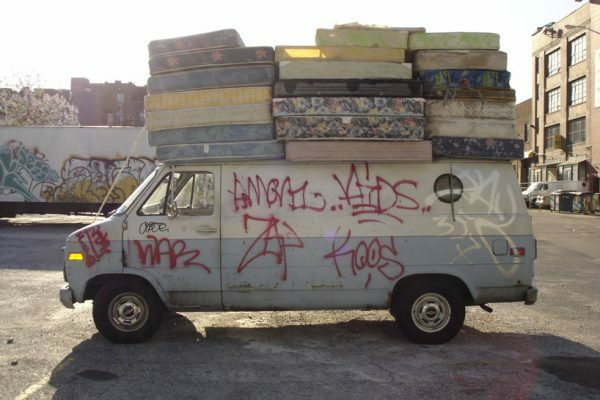 From approximately 2003-2010 I compiled a survey of street vans of New York City. 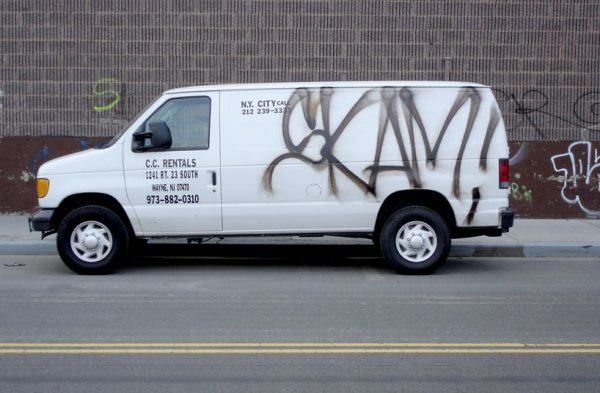 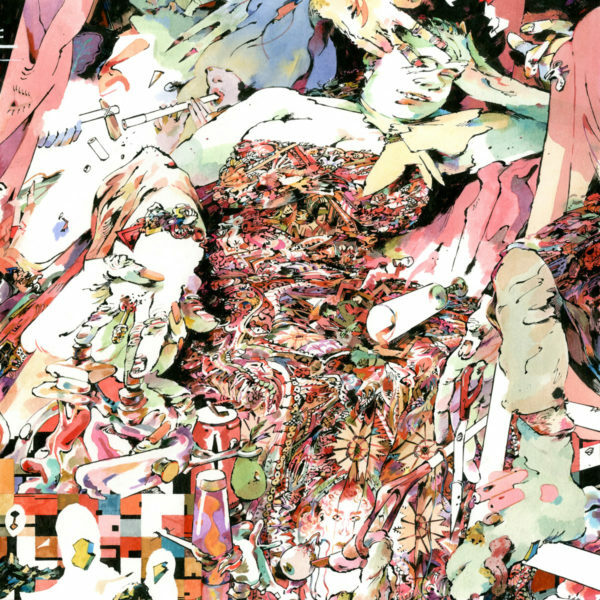 I took on the task of documenting these mobile palimpsests and marks the bore. 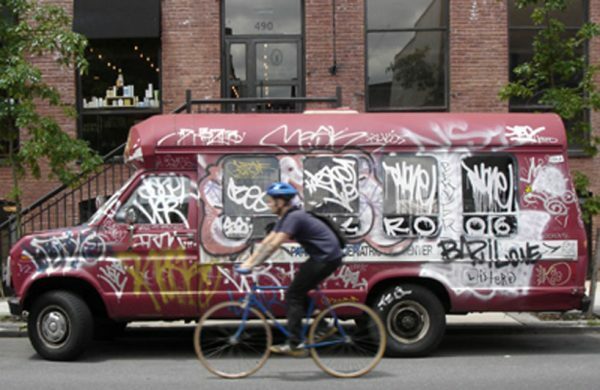 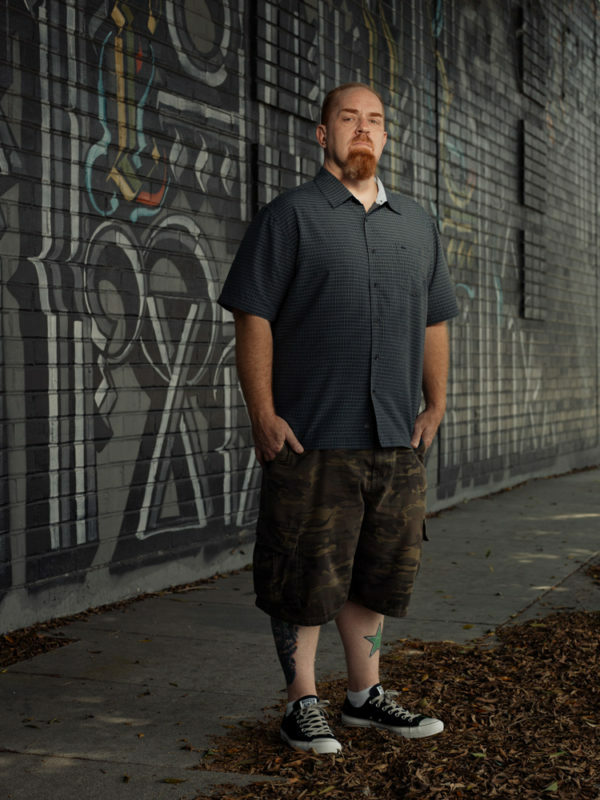 A history written and re-written in graffiti tags and dented fenders.